Megabackup is annoying application which does not deserve to stay on your computer. We cannot ignore the fact that a number of people just detect this program on their systems and cannot even explain how it has entered as well. 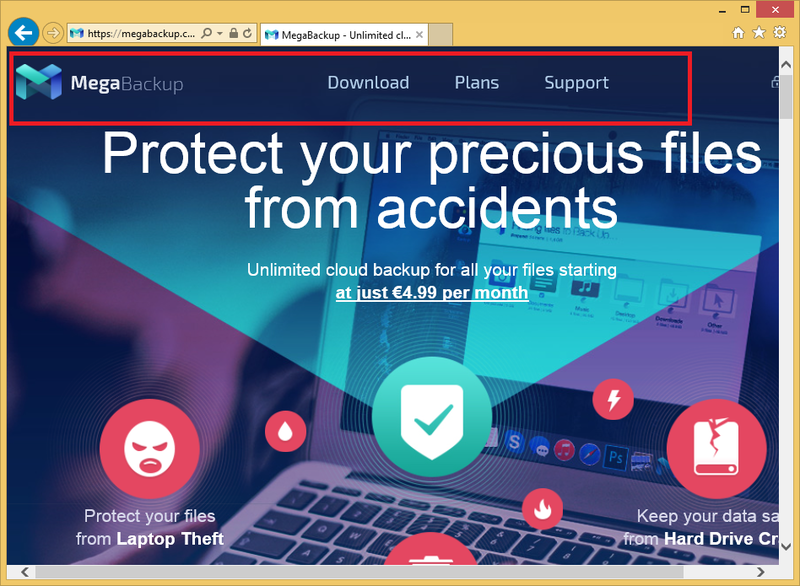 If you are one of those users who feel that Megabackup appeared out of nowhere and definitely not going to use it, you should uninstall Megabackup from your computer as soon as possible. It is a must to implement the Megabackup removal for the sake of the system’s safety too. Yes, Megabackup is not the most trustworthy program, so we do not recommend keeping it installed on the system. Even though Megabackup should work in a useful way, the truth is that this program generates hundreds of different commercial advertisements and places them on users’ screens. It has been observed that this ad-supported program (adware) mainly shows pop-ups, banners, shopping suggestions, coupons, in-text ads, interstitial ads, and full-page ads. As you can see, it shows different kinds of ads, which means that they might not even allow you to surf the web freely. On top of that, it is known that ads with bad links inside them might redirect users to corrupted web pages. Of course, these are not the only reasons why it is so important to delete Megabackup from the system. Researchers who have thoroughly tested this program have found that it might also gather details about your activities on the web. It has been observed that Megabackup might even record personal details, such as name, address, surname, etc. It is very likely that it will share the collected information with other companies, so nobody knows where information about you will be used. This simply means that your privacy might be violated. Is it worth keeping such a program installed on the system? We believe not, which is why we suggest erasing the program as soon as possible. How did Megabackup enter my computer? It is known that Megabackup is distributed using the bundling method even though it is available for download on its official website, which explains why users cannot explain how this program has appeared on their systems. In most cases, users can prevent undesirable software from entering their systems. In order to do that, they need to read information provided for them carefully and uncheck the corresponding checkboxes in the setup wizard. On top of that, it is very important to install a security tool on the system and keep it always enabled. How to remove Megabackup from my computer? Megabackup is not a very serious infection, so you will be able to remove Megabackup via Control Panel. If you have never tried erasing an application yourself, you might find the manual Megabackup removal rather difficult. Do not worry; in such a case, you can delete Megabackup automatically. All you need to do is to scan your computer with a trustworthy scanner.